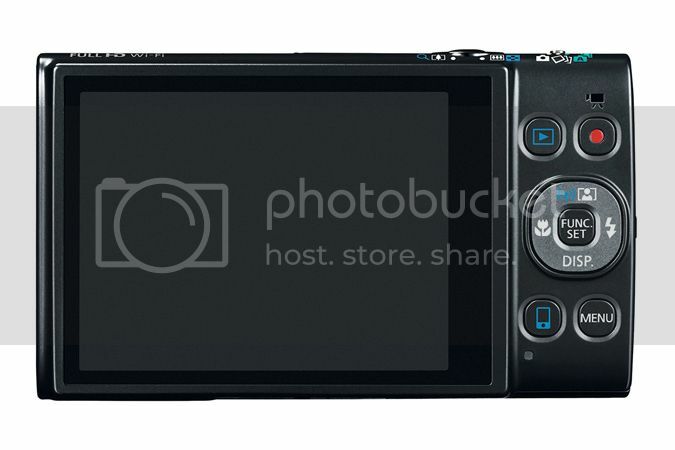 The PowerShot ELPH 350 HS camera is scheduled to be available in April 2015 in black and silver, The PowerShot SX410 IS camera is scheduled to be available in March 2015 in red or black. 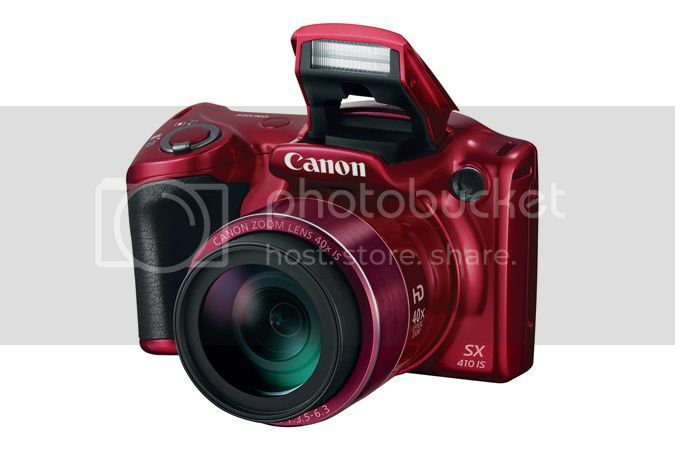 MELVILLE, N.Y., February 5, 2015 – Canon U.S.A., Inc., a leader in digital imaging solutions, today announced the new PowerShot SX410 IS and PowerShot ELPH 350 HSi compact digital cameras. Weighing just .4 ounces more and measuring only .2 inches longer than its predecessor, the PowerShot SX410 IS camera boasts an upgraded 40x optical zoom range (equivalent to 24-960mm), making it a convenient choice for users who want to combine portability and telephoto reach into one powerful digital camera. The PowerShot ELPH 350 HS is a high performance stylish compact digital camera with a 12x optical zoom lens (equivalent to 25-300mm) and an impressive 20.2 megapixelii CMOS sensor, with built-in Wi-Fi® and Near Field Communications (NFC) capabilities. 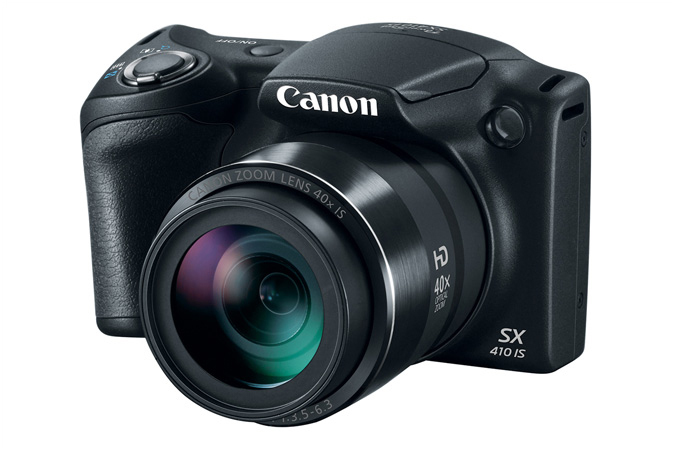 The PowerShot SX410 IS Digital Camera is the latest super zoom camera to be added to Canon’s SX-series lineup. 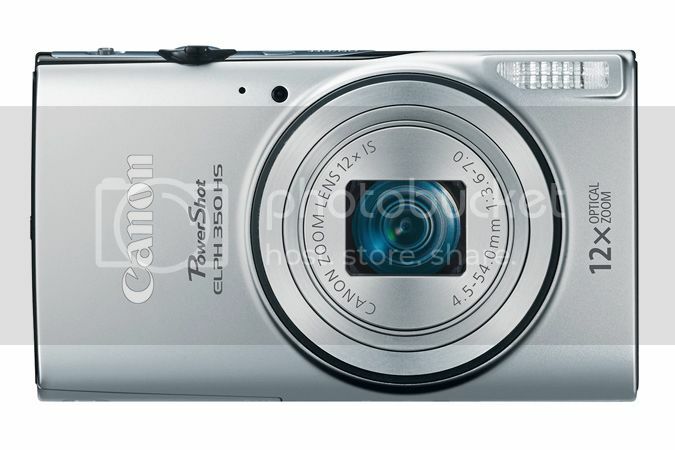 With a 40x optical zoom range, an Intelligent IS image stabilization system and a 20 Megapixelii CCD sensor, the PowerShot SX410 IS camera gives users the features they need to capture every photographic moment in high resolution. 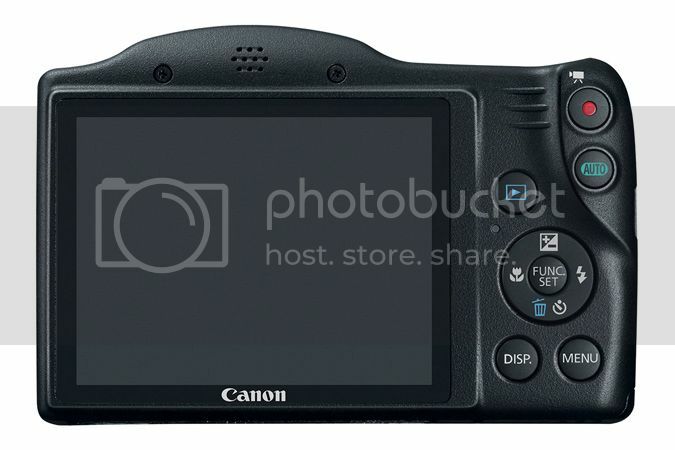 The lens and sensor provide powerful performance in a very compact and portable body – weighing less than 11.5 ounces and measuring just 2.72 inches high and 3.35 inches deep from the rear LCD screen to the front of the lens. 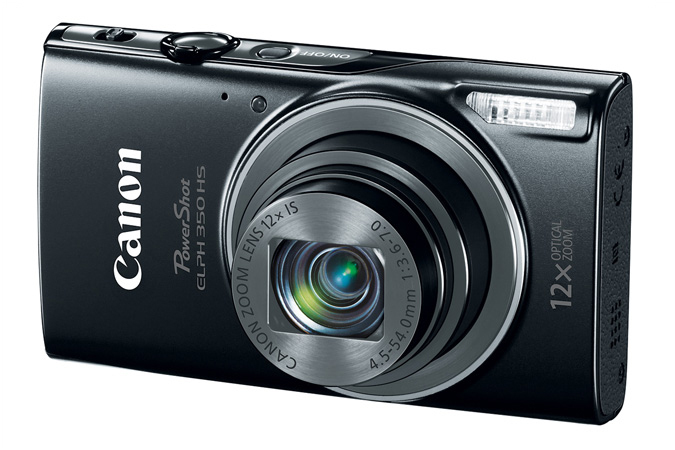 The PowerShot SX410 IS camera is always ready for action with a dedicated movie button to easily start and stop recording 720p HD video. Additionally, the PowerShot SX410 IS camera can capture tight close-up shots of subjects from far distances through the use of the camera’s full 40x zoom range. The camera is also outfitted with ECO mode to help extend battery life allowing more photos to be taken over a longer period of time. The camera’s Smart AUTO mode sets the ideal image quality settings by intelligently selecting from 32 pre-defined scene modes for still shots and 21 scene modes for video. 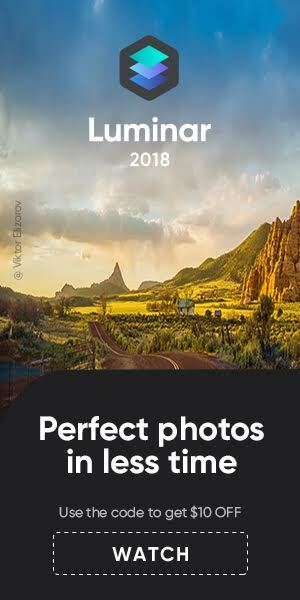 Users can further expand their artistic abilities right from the camera with Creative Filters such as Fisheye Effect, Toy Camera Effect and Monochrome. Fisheye Effect gives images a panoramic look and feel, Toy Camera Effect adds a grainy look to soften photos, illustrating a vintage appearance and with Monochrome mode, photos can either have black-and-white, blue or sepia tones, to display a more classic appearance. Building on the PowerShot ELPH series’ “Circle in a Box” design and the heritage as one of the leaders in digital camera market share, the new PowerShot ELPH 350 HS camera offers users high performance that is perfect for everyday use. Featuring a 12x optical zoom lens and a high-resolution 20.2 Megapixeli CMOS sensor, the new PowerShot ELPH 350 HS camera is capable of capturing sharp images with the superb quality. With Intelligent IS to help optimize image stabilization, a built-in flash and ample low light sensitivity up to ISO 3200, users can create images that are sharp and virtually shake-free in a wide range of shooting conditions both indoors and out. When photographing people, users can enable the Auto Zoom feature that allows the camera to identify the primary subject and immediately focus and frame it for a perfect shot. With Canon’s Creative Shot mode, Smart AUTO technology and Hybrid AUTO for simultaneous still and video capture, users have the ability to capture creative images with ease. 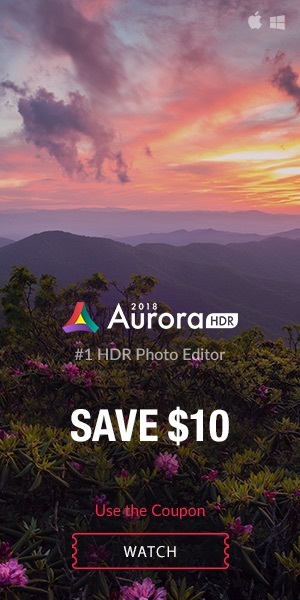 Photographers can also capture moving subjects in crisp, smooth 1080p Full HD video quickly and simply by pressing the camera’s dedicated movie button. And the camera has a large 3-inch LCD screen with a resolution of 461,000 dots, perfect for quick and clear preview and review of images and video. More about Canon's presence at CES 2015 here.